The first thing you need to do is ask yourself why you are moving house. You need to determine if it is the best option for you (and your family if you have one). Questions you should ask yourself are things like, do you need more space? If so, would it be worth building an extension or is moving house the better choice? Do you like the area you are in and your neighbours? Do you need a change or will redecoration be the better choice? The reason it is important to ask these questions and make sure that you want to sell your home is because the process is not only stressful, but also expensive as well. So when you start thinking about selling your home and moving on, make sure it is definitely something you want to do and make a long list of pros and cons so that you can see both sides. Once you make the decision to move house, you can set out to find your new home. Talk to every estate agent you can find and get yourself on the list for alerts for properties that match your requirements. This way, you will get a huge range of properties and be one of the first to see them. You need to show the estate agents that you are serious about purchasing a property and stay in regular contact with them. After all, you want to see your ideal property as soon as it comes on the market, and they don’t want to deal with timewasters. Before you choose your new home make sure you do extensive research on the area. Most property apps and websites have a great tab that gives you area statistics, and these can be very helpful when determining where you want to live. It contains everything from the crime rate, to the employment and family status of your neighbours, so you have a good idea of what to expect from your new neighbourhood. Once your house has been chosen you have to start researching and getting things ready in your mind. Look up doctor’s surgeries and dentists so you have a good idea of where you want to register, and make sure to read the reviews if you are having a hard time deciding where to go. Join community pages on social media and ask questions, residents are often willing to share information about great places to eat or have fun. Plus, you might even make some friends in advance. If you have children, you will want to take a look at the schools in your area as well as the methods of transport available to get them there. For dogs, searching nice walks and places to go is a great way to begin feeling settled before you have even arrived. You can even use social media to find some local dog owners to walk with if you are afraid you might feel a little alone. Of course, before you can move into your home you need to get yours sold. When you have your home ready for viewings it needs to be immaculate. In fact, it should look like a show home – and any estate agent will tell you this. Some people choose to have a professional come and do their home for them, but this can add to the costs of an already expensive event, and it’s not very hard to do yourself. Here are a few tips for setting up your home to sell. Don’t make it personal. Toys, dog beds, pet toys, litterboxes, and personal effects should be put away where viewers cannot see or find them. After all, they need to be seeing your home as their home and your personal items will only hinder this. In addition to this, many people do not want to see litter boxes or dog beds lying around, nor do they want to see an abundance of children’s toys. Keep the home pristine, and keep it neutral. Hide the tea towels. Most estate agents’ pet peeve is those who leave their tea towels hanging off the oven or over a kitchen drawer handle. There is nothing appealing or homey about a tea towel, and most people viewing your property will agree. Make sure the tea towel is nicely folded and put in the appropriate drawer, where no one will see it. It’s for the best. Keep the cupboards and toilets clean. One of the number one mistakes people make is underestimating the nosiness of people who come to view your home. For one, you are bound to have a couple of locals come in and take a look, but secondly people will open your cupboards, wardrobes, and even the toilet. It’s human nature to be curious and take a peek, and home viewers are no different. Make sure it’s tidy in there so that when they do decide to be nosy, they aren’t put off by your clutter. Repaint if it’s needed. People need to see the house in its ultimate state. They want to experience a home that is perfect in terms of décor and even the paint. If it’s starting to look a little old and worn, pick up a paintbrush and redo the rooms. It may seem like a lot of work, but if you want the full asking price for your home you need to make it perfect. Get to work and make your house flawless. Hire a storage unit. A cluttered home will not sell. Clutter makes a home look ‘cosy’, which is an estate agent’s way of saying that the room is cramped and small. Excess furniture and clutter that you want to keep should be moved to a storage unit for the duration of your home selling. This way, your house looks more open and spacious, and you won’t need to worry about anyone calling it ‘cosy’. People are attracted by large open spaces, so try to keep your house as open as possible. Once you have achieved the ultimate show home appearance (including the smell which will come from numerous plug-in air fresheners around the home) and your house is sold, you can move onto the legal work and closing the deal. If we were to discuss all of the legal work involved in moving house it would take up another one of these guides, so here we will run you through the basics of what moving house involves. You will need a solicitor and conveyancer (or preferably a solicitor who is qualified to do both) to take you through the process and arrange all documents that are required for moving house. This includes things like the contracts for exchange. Generally, their services will cost you around £1000 – £1500 for the entirety of the process. It is important to have a solicitor employed to help the process move along and make sure everything goes as smoothly as possible for you. After all, a house is not actually yours until the contracts are exchanged. It’s only then that you can open the champagne and begin preparing to move house officially. All of these together can come to a monumental amount of money, which can actually be a little eye watering when you get the bills from each area. However, it’s well worth it for your happiness in a new home. 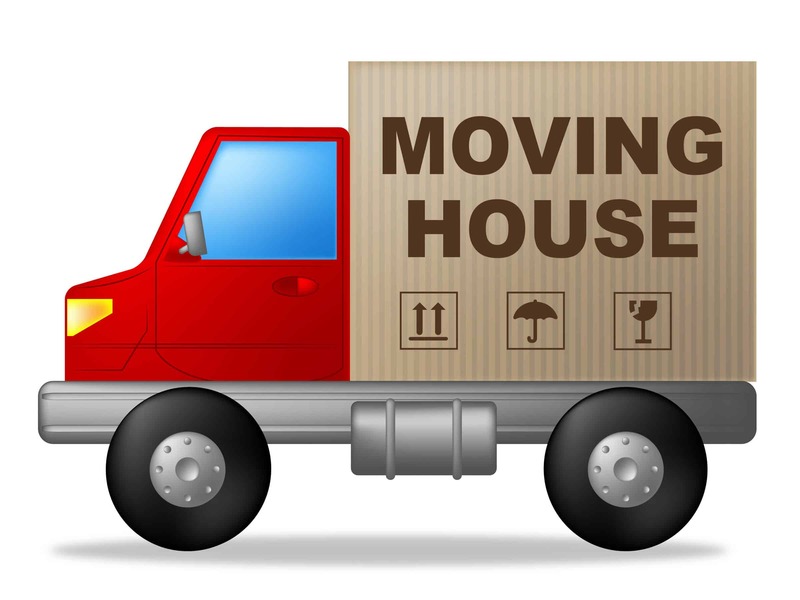 Once all the legal work is done and confirmed, and you’ve had a bit of a celebration, you can start working on organising the actual move. Of course, it can be tricky to figure out where you actually start. Moving your entire house is an absolutely massive job that can be, understandably, quite overwhelming. So when you are getting ready to move you often find yourself wondering where on Earth you should be starting – especially if you have quite a lot of stuff. The best thing to do in this section is make a list of all the rooms and mark them from the least used to the most used (this includes the loft). The rooms that you use the least should be the first to be packed up and organised ready for the move. This way, the things that play a key role in your daily life won’t be packed away until last and you can ensure that the less vital items are safely away. As mentioned previously, a storage unit can be a great way to help you out with your move. You can store boxes and furniture there if it makes it easier for you to pack, and a moving company won’t mind coming to help you unload it on moving day. The storage unit is a great way for you to stay organised and feel less overwhelmed by the number of possessions you have. So remember, start with the least used rooms and work your way up to the most used. Moving house can be a fantastic opportunity to get rid of the ‘stuff’ you have collected over the years. When you start packing, have three boxes with you – chuck, donate, keep. These boxes will help you to get through your items quickly and easily. Just make sure you don’t spend too long making decisions or time will run away with you. A popular form of organisation using this method is to chuck away anything that hasn’t been used in the last year. It all depends how ruthless or sentimental you are. Either way, it’s a great excuse to get rid of some clutter and make a fresh start in your new home. Once the possessions have been sorted out and the donate and chuck boxes dealt with, you can start the packing process. Boxes can actually be quite expensive to buy, especially if you go directly to moving companies and buy them there. Sure, they are often very thick and industrial in terms of quality, but so are the free ones. Go to the supermarket and ask for spare boxes so that you can move house, they are always happy to lend a hand. You can also visit Homebase and take as many free boxes as you like from their special cardboard box pit by the tills. These boxes are fantastic for moving house, and helped me move twice in two months. With these boxes, even your valuables and fragile objects will be safe from harm. Buy a lot of bubble wrap, newspaper, and packing tape from your local stationary store. You will need the wrap and newspaper for your fragile items as it is important to wrap them up tight so that they stay safe in transit. You will also need a lot of packing tape for sealing up the boxes with double layers, keeping them extra protected. You can even throw some on the wrapping for the fragile items for a little extra safety. Make sure you label each box with the room it needs to go into in the new house. This is often forgotten and then you end up feeling stressed and confused on moving day. Calm and organisation are the way forward here. Don’t Leave It Until Later! A surprising number of people leave the bulk of the work until the day before. Do not do this or you will end up forgetting things. You should have everything packed up by the day before moving so that you can relax and get some rest before the big day. Start packing a week in advance and make sure you have all of the relevant paperwork in order as well. Another tip is to call up early and make sure a locksmith is available on moving day. This way they can change the locks when you move so that you know you are the only one with access to your new home. This is strongly advised and should be done immediately. Call up a few weeks in advance to make sure they are free to help you. Never leave anything to the last minute and stay prepared so that you can have a relaxing moving day. The moving companies are your saving grace. Don’t try and do it all yourself, there is no need to give yourself unnecessary stress on the big day. Hire a moving team who will pick up all the heavy furniture and drive your possessions to their destination. That way all you have to worry about is driving there yourself and what you are going to order for dinner. Moving companies are there to help, and there is no point trying to get it all done yourself. They may cost a bit extra but they also prevent you from hurting yourself with heavy furniture and are there to make sure everything goes exactly where you want it. Don’t decline the option for help, take it and allow yourself some time to relax. When it comes to moving house, you deserve it. If you ever feel overwhelmed, remember that you usually have family or friends nearby who will be happy to lend you a hand. They are there to relieve some of your stress and support you during this time. If you keep on top of things, you will have time to go for coffee or an afternoon out to clear your head and stay motivated. Organising a house move is never an easy task, but your support system is there to help you through it. Hopefully, this guide has given you a little help when it comes to organising your big move. There are quite a few useful tips in here, and if you haven’t quite decided if you want to move yet then make sure you pay special attention to the first section. After all, moving house is amazing but not everyone needs to move, their current houses may just need a little alteration. Remember to stay organised, keep on top of everything, and start packing at least a week before you move. Even these simple points can save you a lot of stress and hassle when it comes to moving. All the best with your move and hopefully it’s as stress free as possible.